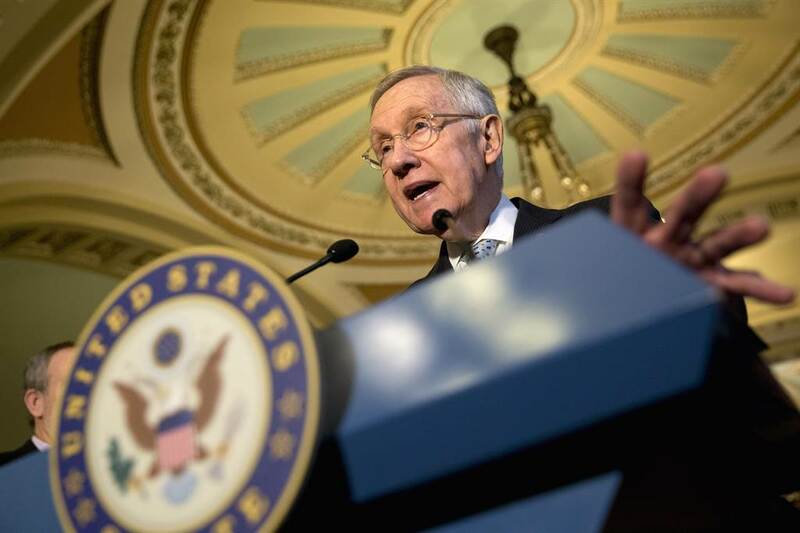 A prosecutor from a Utah county said on Wednesday he was investigating Harry Reid the U.S. Senator from Nevada in connection with a scheme of pay to play involving two former attorney general’s in Utah. Troy Rawlings, the Attorney General, who is Republican, said in a prepared statement that he was looking into the allegations related to the Senator, who is a Democrat. Rawlings would not disclose the allegations and said only that the claims had been based upon information from witnesses in the case. Reid, who has not been charged, was quick to fire back at Rawlings in a prepared statement. The statement said that Rawlings was using the name of Senator Reid to generate person attention and advance his own political career, so every couple of months he seeks the headlines by floating the same allegations that are unsubstantiated. Reid has being denying any wrongdoing since 2013 when a businessman said that a former attorney general in Utah had arranged a deal to pay Reid to end a federal investigation into a business related to software. In that case, charges were not filed by Federal prosecutors. Rawlings has said he has the duty to follow up in the leads in the case of the attorneys general and has been given permission to investigate the possible crimes statewide in relation to that the same case. He added that he was limited by what he is able to disclose due to rules from the court, but decided he would confirm he was investigating Reid in response to many questions from a local paper. Reid’s name has come up as Rawlings has looked into actions of former attorney generals in Utah John Swallow and John Shurtleff. Those two were both arrested this past summer when prosecutors said they were involved in a pay to play wide ranging scheme in which they traded favors with another person who had problems with federal regulators, while in office for a combined length of 13 years. Both Swallow and Shurtleff pleaded not guilty to all charges against them.